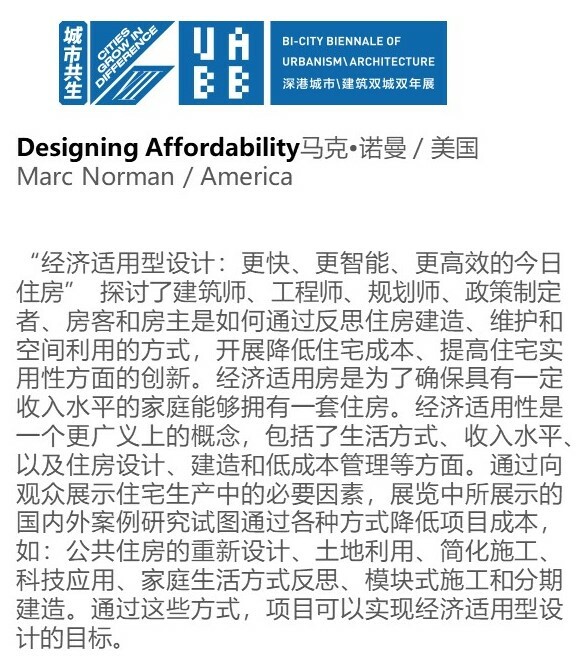 Designing Affordability continues its run with panels included as part of the Bi-City Biennale of Urbanism and Architecture in Shenzhen. With the theme, “Cities Grow in Difference,” the exhibition is aligned with the intent of the exposition by highlighting innovative techniques for creating affordability from around the world. The Biennale bills itself as “the only biennial exhibition in the world to be based exclusively on the set themes of Urbanism and Urbanization.” For additional information on the exposition which will run through March 2018 please click here.